A wide diversity of life can be seen among the leaf litter on a forest floor. Lichen and mushrooms live between leaves, twigs, and pine needles. 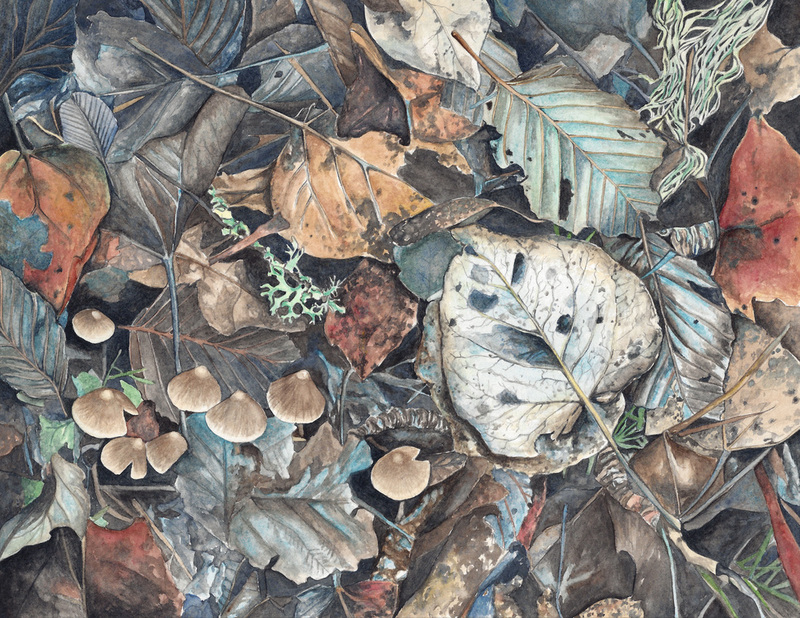 This painting is based on colorful leaves found on a hike in the Pacific Northwest.